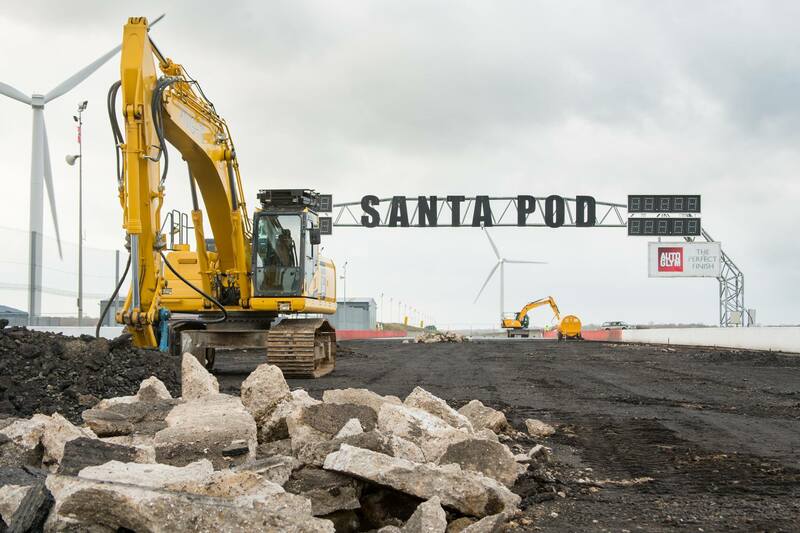 Santa Pod Raceway was Europe’s first permanent 1/4 mile and 1/8 mile drag racing track and is arguably the continent’s most famous. 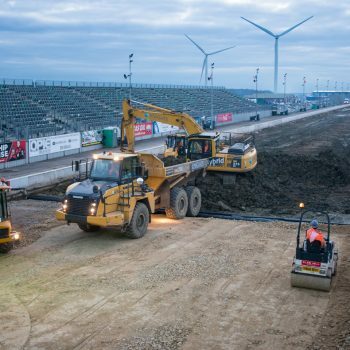 Situated in Podington, Wellingborough the original track was built on a disused Second World War airbase runway in 1966 and over the years has seen many prestigious drag racing records set. 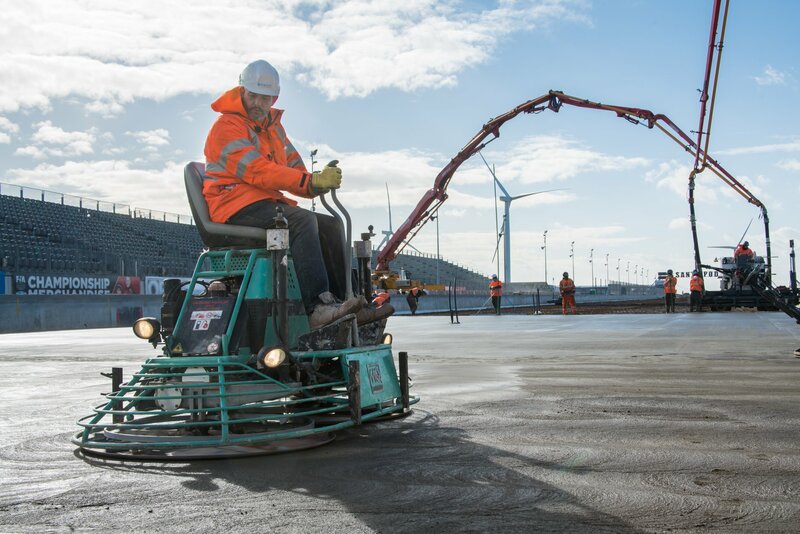 In the time since initial construction, the asphalt track surface had been repaired and re-laid on several previous occasions by various other contractors – with the most recent resurfacing being carried out in 2013. 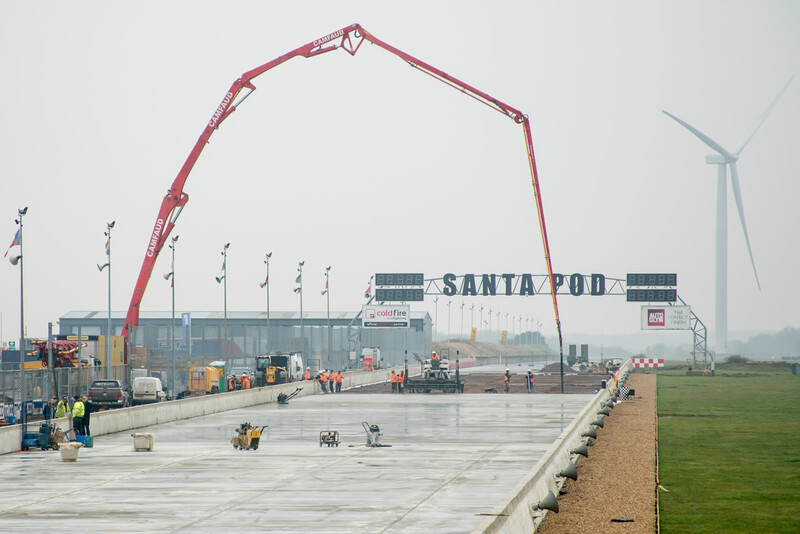 As a result of the ongoing track issues and the painful realisation that the ‘POD’ was beginning to relinquish some of its’ long-held records to Sweden’s Tierp Arena, the owners of Santa Pod decided enough was enough and embarked on a project to re-instate the venue as Europe’s premier drag racing track. 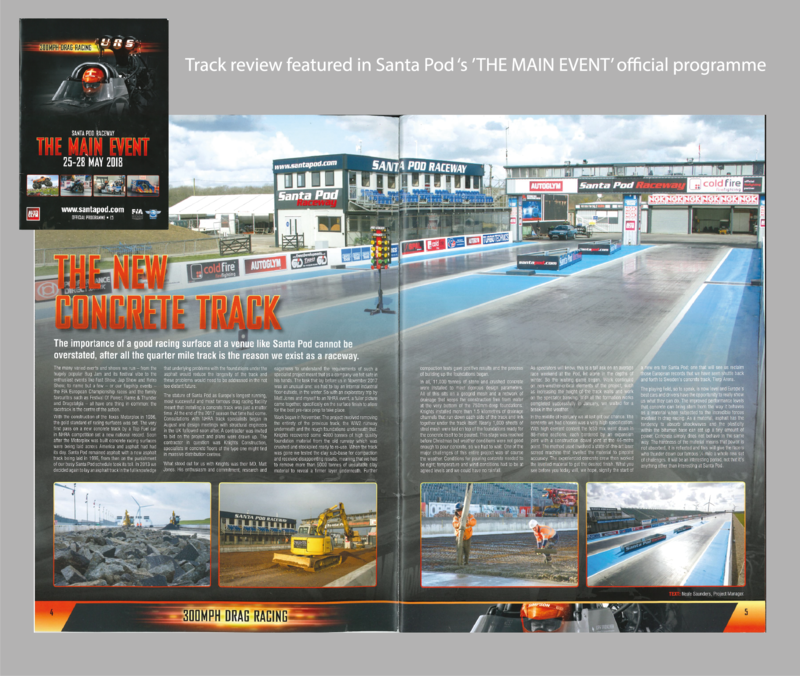 Knights Construction Group worked closely with Santa Pod and Barnsley Marshall Structural Engineers to design and build a completely new concrete track from the ground up which would give the best potential for the venue to once again be recognised as one of the fastest tracks in the world. 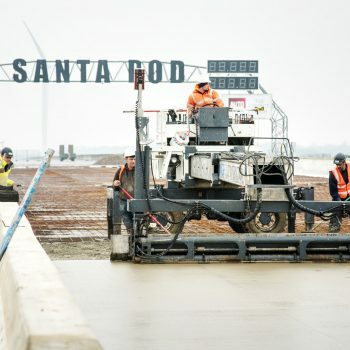 In comparison to the previous re-surfacing that had taken place, Knights completely broke out the original track, including the WW2 runway beneath. 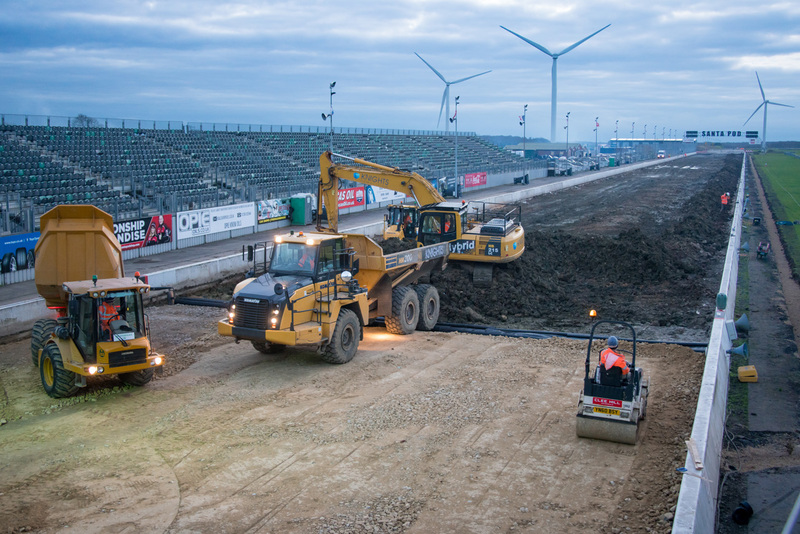 Doing this allowed for Knights to install a newly designed 1.5km drainage system below and along both sides of the track area. 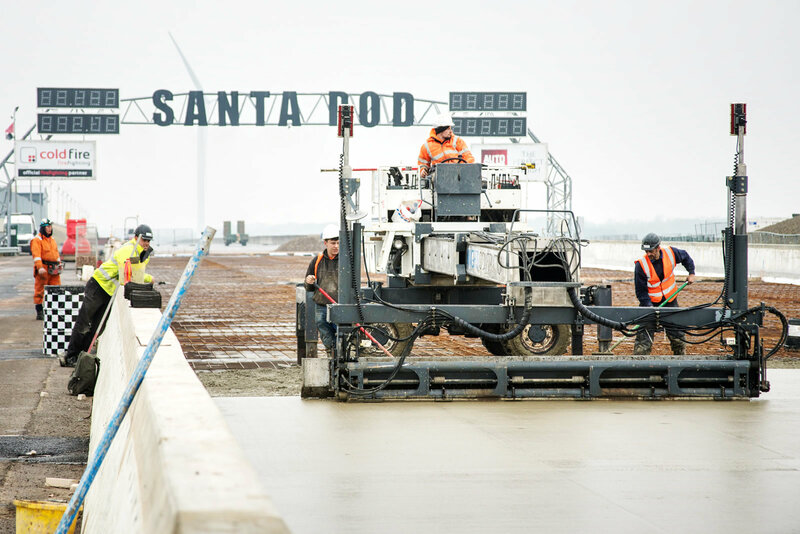 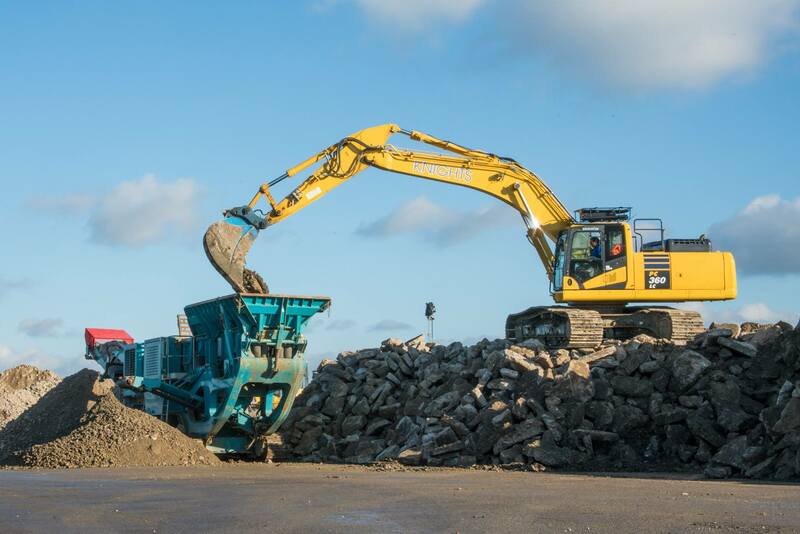 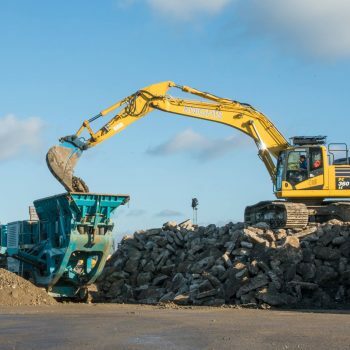 In a move that satisfied both technical and nostalgic aspects, 3750 tonnes of the runway material were crushed and recycled in the formation of the new track. 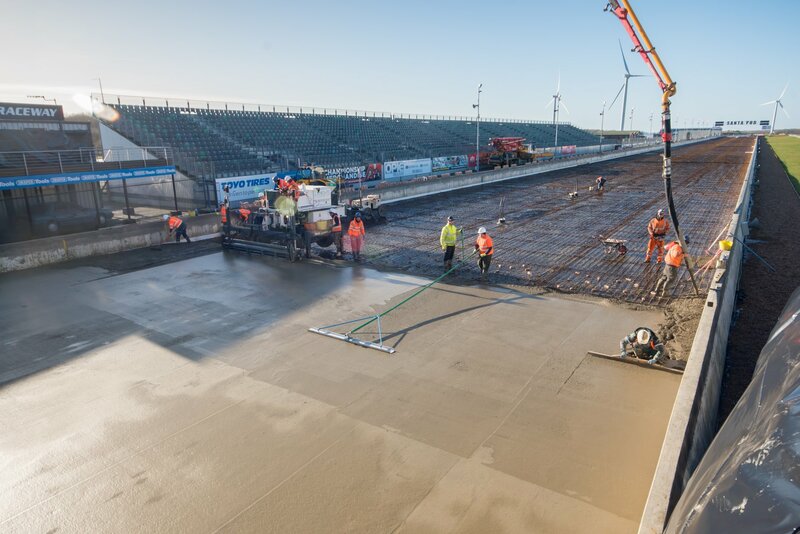 Additional core holes were drilled through the existing track walls at a distance of 15 metre intervals to better allow the migration of rainwater from the track surface into the drainage network with the walls themselves given a 200mm height extension to reflect the raised finished floor level. 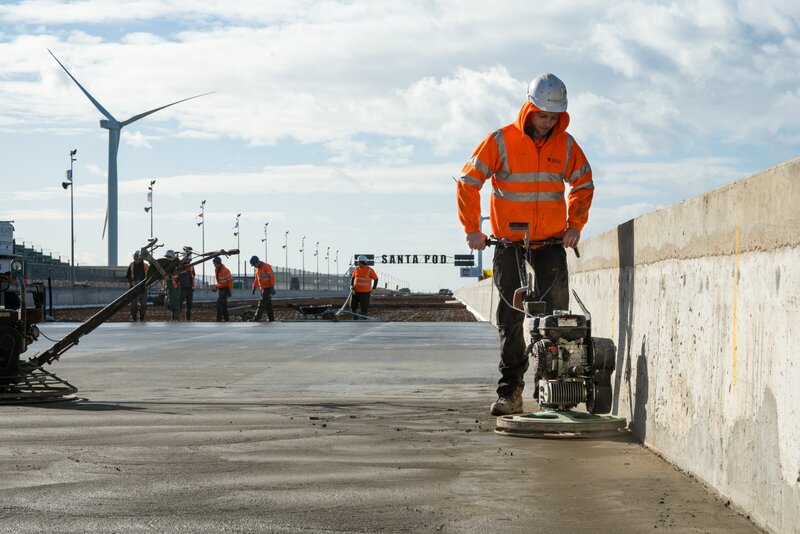 Once CBR Testing was completed, B385 Mesh was installed and the RC40 concrete was poured over two days along the 440-metre length of track. 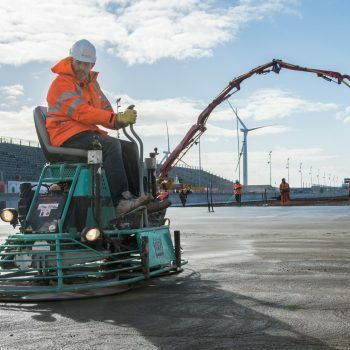 Due to the nature of the track layout, one of the largest pumps in the country was employed to deliver the concrete to exactly where it was needed – allowing the Knights Concrete Flooring Division to make speedy progress and complete the pours just in time as snow and ice was forecast. 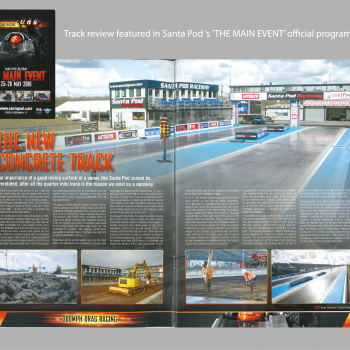 Concrete tracks are now the high-performance standard for venues across the USA – where drag racing is big business – and they are also now more regularly being adopted by Europe’s most modern venues. 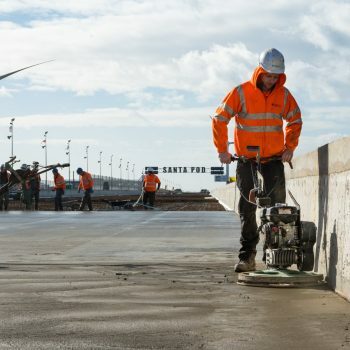 The benefits of concrete over asphalt range from greater stress distribution, better surface drying times and more stable levels of grip over greater temperature ranges. 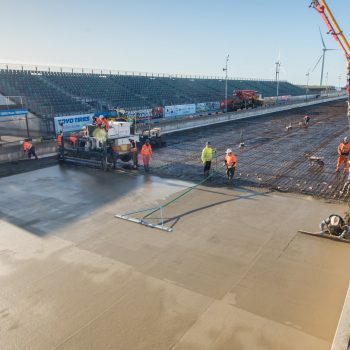 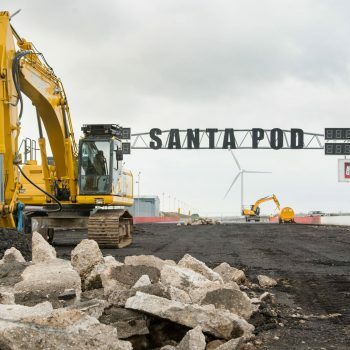 Within the drag racing world, the news of a new concrete track at Santa Pod has been universally hailed as a sign of intent from its’ owners to ensure that the reputation of this important European motor racing venue is upheld into the future. 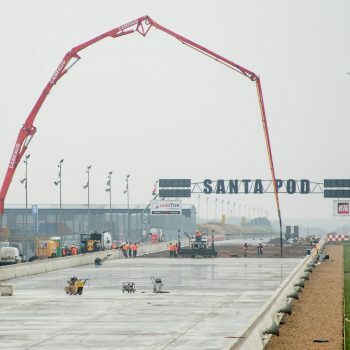 There is now hope that with the benefit of featuring a world-class track, Santa Pod can begin to reclaim some of the records from around the continent.  Please contact us to discuss your own requirements and take the first step towards a successful partnership with the UK’s most exciting construction group.